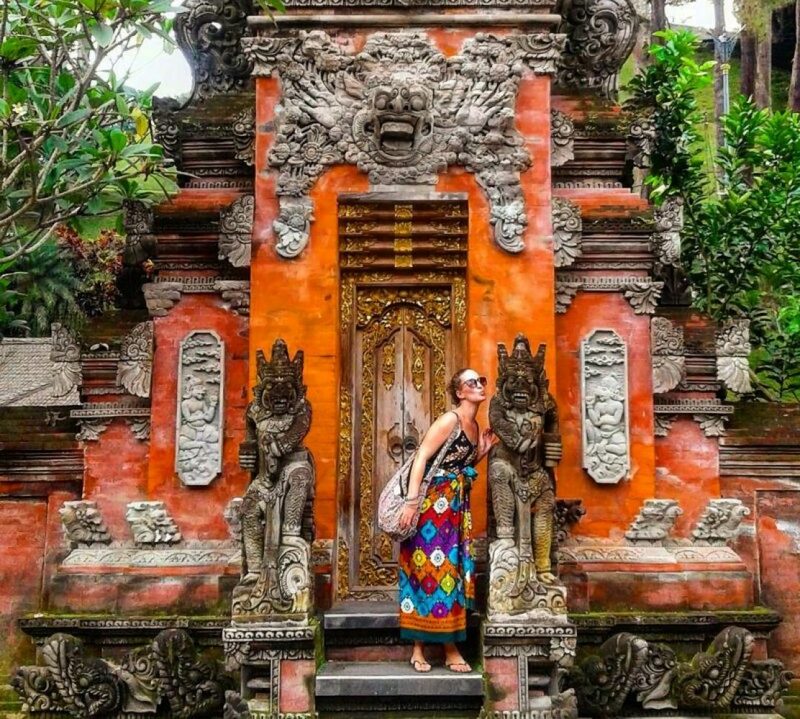 I love to travel and I am embarking on my biggest journey yet. In September 2016 I left the UK on a solo adventure around the world starting in Bangkok. I have set up this blog to record my adventures in photographs and words! 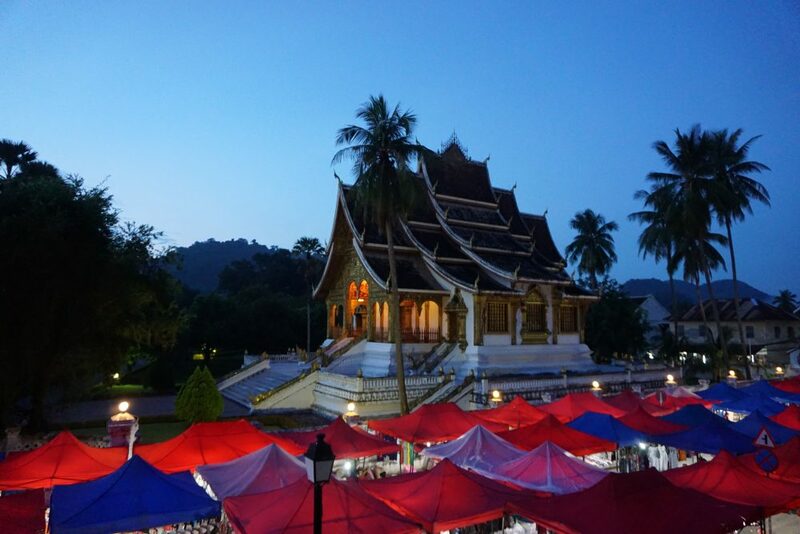 Luang Prabang night markets, Laos. I travelled to Laos overland in September across the Northern Thailand border at Huay Xia via night bus which took me around 14 hours (some of which included some hair-raising/stomach churning driving through windy small roads!). I really didn’t know what to expect from Laos and having only been travelling for 2 weeks when I entered the country, I was feeling nervous and apprehensive! However this quickly changed once I arrived in Luang Prabang, a beautiful city in the North central of Laos which has the Mekong River meandering through it. Parts of the city actually hold UNESCO World Heritage status, due to the beautiful architecture and the good condition of the city. I was amazed at how stunning the city was and could have stayed here for weeks exploring, eating and watching sunsets over the Mekong River. 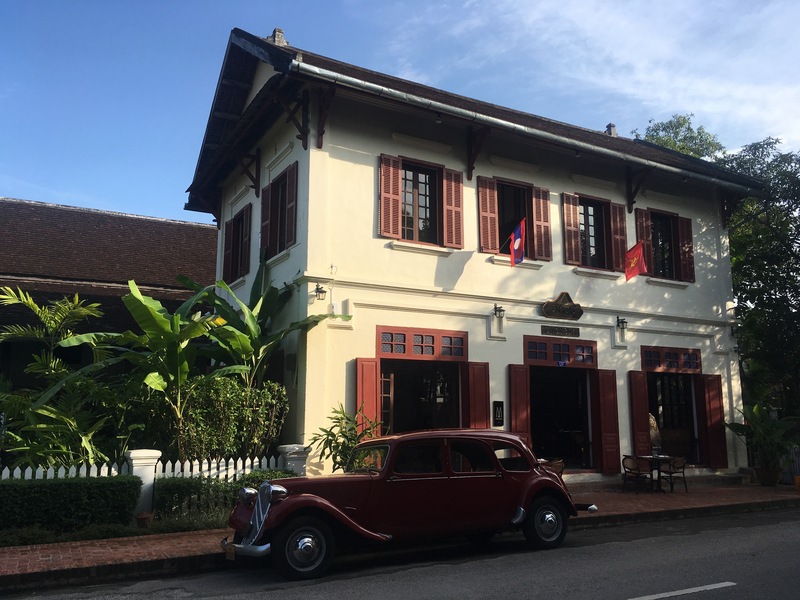 French colonial architecture, Luang Prabang. My highlights of Luang Prabang included the Kuang Si Falls, the night market, tasting the French patisseries at some of the local cafes, visiting Mount Phousi at sunset and wandering round the beautiful Buddhist temples. 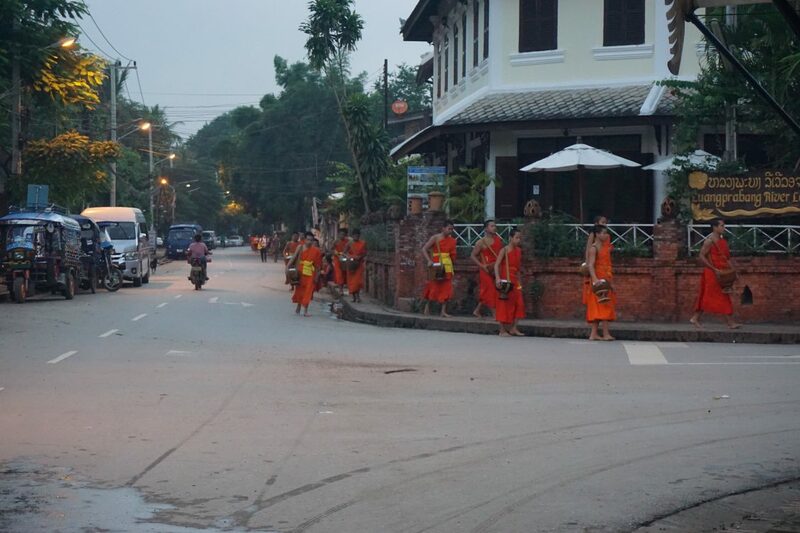 I ended up arriving into Luang Prabang at 3am in the morning when I first arrived, which wasn’t ideal, but meant I managed to catch the early morning Alms Giving Ceremony with the local monks. This is a tradition in which the monks come round the city at sunrise and locals give them their offerings (usually food) to take away with them. Tourists are welcomed to also take part in this ceremony, it was very beautiful and peaceful to watch especially that early in the morning. Alms Giving Ceremony at 5am in Luang Prabang, Laos. I ended up spending two and a half weeks in Laos, it was not long enough and I missed out a lot! However here are just a few of my highlights.